Chug-chug, here comes Peter and his pet pig. On this sunny day they are taking a ride on the green tractor. 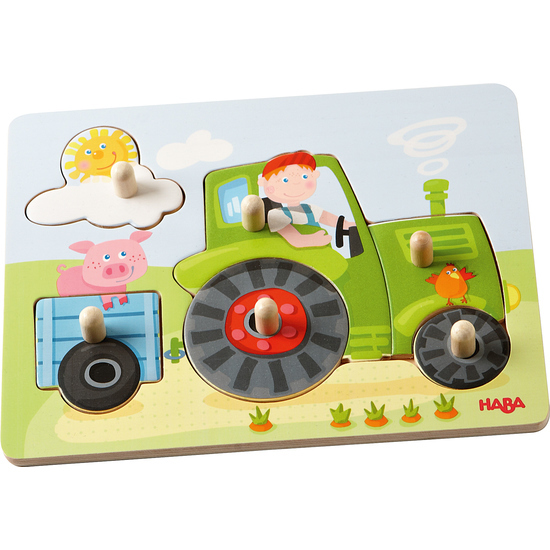 Little puzzle friends can assemble the 6-piece tractor and trailer. An excellent introduction to puzzling!